I have searched the forum but nobody else seems to have this problem...i can not get the cruise check lists to trigger, display shows cruise, second officer opens tray table etc. The cruise checklist is orange, i have tried pressing the check list button but no luck, it simply will not work. Any ideas as to why this might be.?. 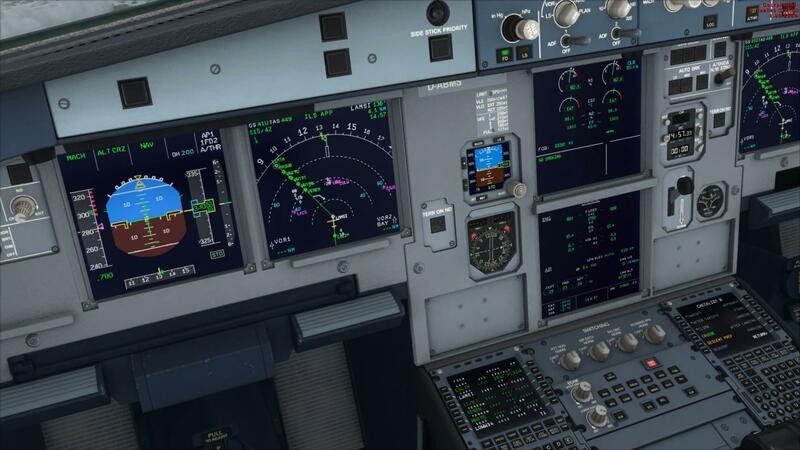 The airbus itself is superb, i have become addicted to my flight sim since i bought it...well done! I hope you are flying with a fully set up MCDU because this is one of the basics to use the checlist- and copilot functionality. The CRUISE CL should automatically start if you have reached the cruise altitude set in the MCDU and the FMA displays SPPED, ALT CRZ and NAV. Hello Hanse and thanks for your reply. I did think about the MCDU and did another flight late last night. I double checked everything so, if it's something that i am missing i don't know what it is. As i say, this is very strange as i am the only one having this problem I can trigger the before decent checklists by pressing the LSK button next to that check list. Same here no cruise checklist. When you are ready to press the before descend checklist has this checklist turned orange or it that still stuck on cruise. Once I reach the cruise level and the tray table is out, the only time I go back to the checklist is when I am preparing to descend and at this time the prepare to decend checklist has turned orange. The cruise checklist does not play at all. The decent checklists begins without any problem. Same problem here. I thought there was no cruise checklist at all. you are writing AXE 1.04 and all Hotfixes...... Relevant for 1.04 is only HF 011 (012 is just the new fuelplanner). This means you should have newly installed release 1.04 and on top of that HF 011. And thats it. 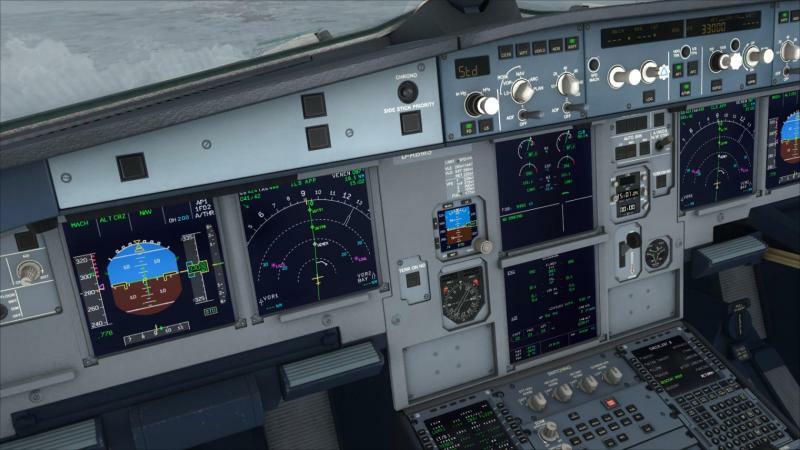 I can confirm SPEED, ALT CRZ and NAV, second officer's tray extended, cruise CL green..I think, but not sure, that the cruise check list is garbled with the descent CL (both playing at the same time) . 1.04 with hotfix 011. If the copilots tray is extended it means that the CRUISE CL has been finished. The next CL i. e. the DESCENT CL starts automatically 8 NM before TOD or if you start to change the altitude...... So what do you mean by "both playing at the same time"? 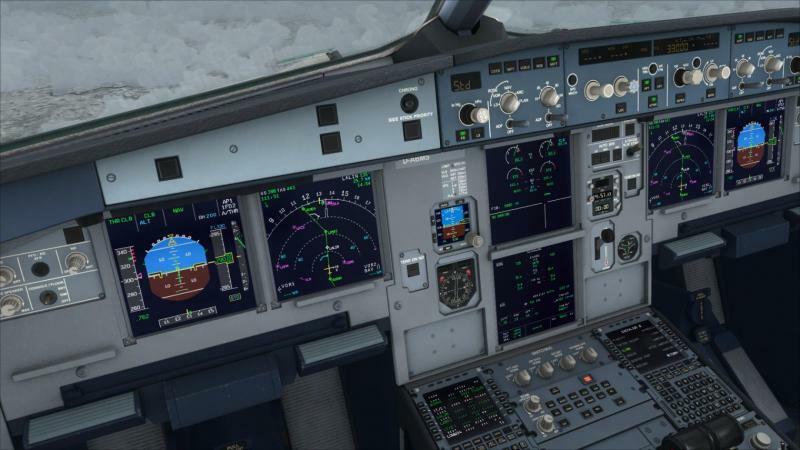 yes Sir, I confirm that MCDU was configured properly (the complete flight from LOWW to ESSA was performed without any problems beside the described CL-issue). Also SPEED, ALT CRZ and NAV were lit during the cruise phase and the DESCEND PREPARATION CL worked fine as well. So please have a look into to CHECKLIST Menu on the right MCDU (LSK1R) and then go to the second page (using the button with the arrow showing to the right) which CL is active = green. After the above actions are performed the CRUISE CL should be green and the DESCENT PREP CL = orange. After the DESCENT PREP CL has been finished all CL are grey until the DESCENT has been started...... This is how it works perfectly on my system. you see me embarrassed - I did not even realize that there is a second CL-page on the MDCU. It seems that I should have RTFM even more carefully. Thanks for your perfect help (as always) and wish you all the best for the upcoming update to 1.05! I think that the cruise CL might be mixed in with the descent CL's when they start. Kurt says that he didn't realize that there was a second MCDU page but wouldn,t the cruise CL's still have started automatically? Please mind: CRUISE CL is not orange! Please mind: CRUISE is active, but the table is still retracted due to copilot not being active. When activated the sliding table is extended. No CRUISE-CL is performed in both cases! As you may see the DESCEND PREPARATION is normally performed and active. This complete behaviour is fully acceptable for me because all really important CL-items are handled in the AFTER TO-CL and DESCEND PREP-CL anyway. The complete managed descend and the following ILS-APPCH to RWY34 including all speed and altitude constraints were performed by the AC in a perfect manner. No problems with DCT-TO and CLs at all. This complete behaviour is fully acceptable for me because all really important CL-items are handled in the AFTER TO-CL and DESCEND PREP-CL anyway. The complete managed descend and the following ILS-APPCH to RWY34 including all speed and altitude constraints was performed by the AC in a perfect manner. No problems with DCT-TO and CLs at all. Agreed. It doesn't effect the functionality of the Aircraft. Still very happy with my purchase. Looking into your picture the seat belt signs are off and you are confirming that if the copilot is set to ON then the sliding table is extended. So is there a problem with the TCAS setting? So is there a problem with the TCAS setting? No, there is also no problem with TCAS/RADAR TILT = NORMAL because this is already checked and managed during the AFTER TAKE OFF CL. The only issue is simply that the CRUISE CL is not performed as the other checklists which always start with a call like "AFTER TAKE OFF CHECKLIST" followed by all the items to be checked and finalized with "CL COMPLETE". This is not the case for the CRUISE CL - no calls at all altough the functionality behind is working correct. As mentioned before this is not a problem for flying at all but if somebody expects the initation of an audible cruise checklist he/she will not be successful. Maybe it is that the cruise is a flow rather than a checklist that is why it is not being explicitly stated?